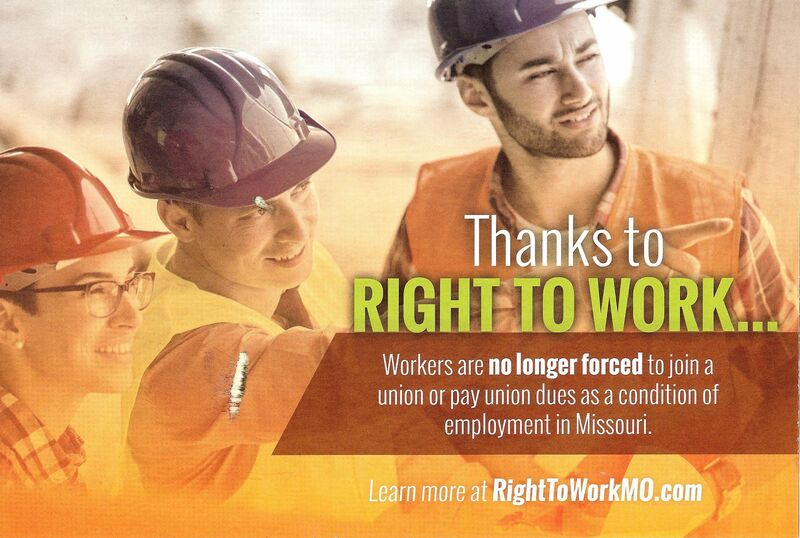 Since when is an astroturf right wingnut organization truly concerned about the economic welfare of working people? So, who funded this? 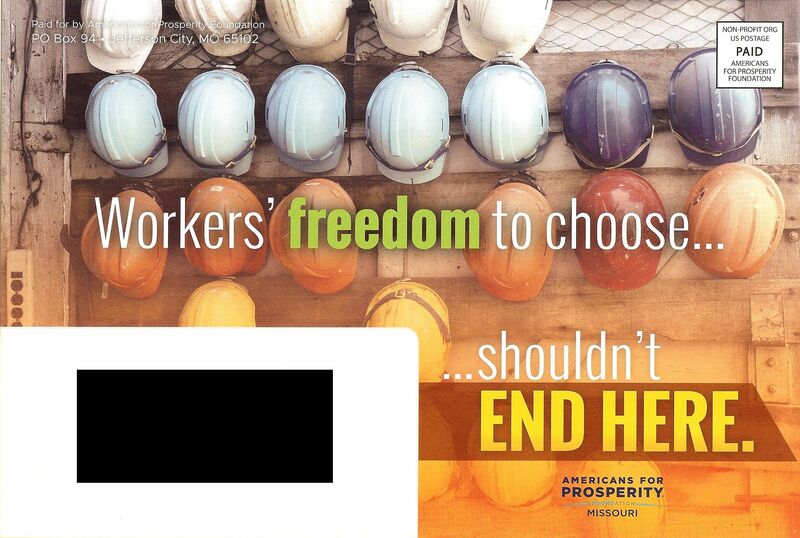 Who wrote the check(s) to Americans for Prosperity Foundation – Missouri? Their concept of diversity appears to begin and end with hardhat colors. Who benefits from “right to get paid less”? It ain’t working people. Their mail vendor managed to send this piece to a dues paying union household. They apparently have plenty of money to waste on propaganda.